The world around us is changing so fast that we realize today is completely different from yesterday. 1. Creation of a Learning marketplace: We will see the emergence of a marketplace like that of Netflix and iTunes for learning. This will make things easier for content creators to easily create content and generate revenue from them instead of depending on large providers that control this market today. 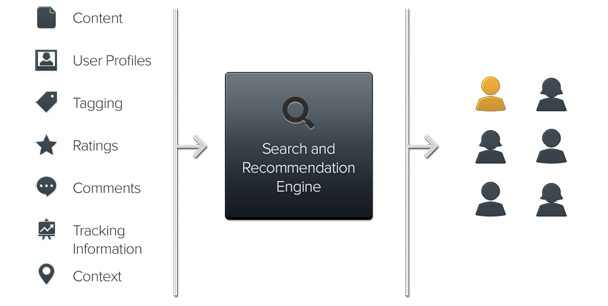 These platforms also will perform the role of content aggregation and curation. Products such as Pathgather (www.pathgather.com ), Degreed (https://degreed.com/), and Edcast (https://www.edcast.com/) are some early versions of this model. Many corporate universities, which support small and medium-size enterprises (SME), will benefit immensely from such a marketplace. SMEs then could compete with large organizations with respect to developing their workforce. 2. Pay for development tools/resources and not for content targeted at knowledge creation: We soon will see a situation where content that is only focused on learning becomes free as this content would be created by community and crowd. The providers of content will start charging for the content that is aligned toward the application of learning and helping employees develop skills—i.e., capstone projects, simulated labs, performance support, mentoring, and on-demand support. Take the example of Udacity nano degree. Content is free, but you pay for the project and mentoring support. We can consider this as an early indication of what consumers are looking for. The content provider market must recognize this shift to stay relevant and protect their business. Current content providers are very much focused on creating and selling content that addresses the knowledge development. Making money in the content-for-knowledge space is no longer easy. 3. Pay per drink: Many corporate universities are realizing that enterprises-level licenses are not paying off. Corporate universities are only able to leverage less than 20 percent of the available content that is directly linked to business-relevant learning. At the same time, employees use these licenses for taking courses that are aspirational in nature and do not have direct business relevance in many cases. These are the investments that do not have real ROI. CLOs are being questioned on every dollar of investment they are making, with the expectation that they are to get more for less. That’s because organizations are keen to put the money where there is a clear business linkage and relevance. I had a few conversations with Learning partners in which I asked them to present to me a model where I pay only for what I consume (pay per drink model). We pay for the minutes/hours of content we watched/consumed and not for the full course or all the courses in the catalog. It is a well-known fact that most learners do not go through the full content. They will only consume what is deemed relevant. Why should the corporate university pay for what their employees are not consuming? Bottom line: We pay for what we consume. 4. Algorithms will be the key differentiator of a corporate university: The power of the algorithms corporate universities use will decide if they are highly effective or not. We come in touch with the algorithms Netflix and Amazon use often. The use of algorithms in learning and development has been negligible. This situation will change soon. The pressure to create hyper-contextual learning that is linked to business outcomes are increasing. I believe we can meet the desired results by using algorithms. The power of the algorithms will very much influence the ROI of a learning intervention in the future. Who should learn, what should they learn, how much should they learn, how should they learn, when should they learn, with whom should they interact, who should they be mentored by, what projects should they do to improve retention of learning? These things all will be prescribed by algorithms in the future. In the not-so-distant future, we will have a virtual self who will go through the training before we do. Guided learning provided to our virtual self under the supervision of an intelligent system will determine if we are the best person to acquire the skills. It also will identify gaps in the learning that our virtual self would have undergone. This diagnosis will determine how we would fare if we were to learn and apply the learning. The learning instruction would be tailored based on the learning that was obtained from the training provided to the virtual self. 5. AI will take over the role of content curator and will do a good job: Artificial intelligences (AIs) such as Deepmind and Watson have competed against humans and have emerged victorious. These AIs have proven that machines can outperform humans. A few months back, we learned that IBM’s Watson (an AI) has created movie trailers. Watson did a great job. Also, we learned that AI has been trained to create a meaningful messages/image titles when presented with images. These are some examples of how AI is complementing what we do. Soon we will have AIs that will search content sources and curate content, along with a quick summary. AI-based systems will recommend sections of content that could be viewed/accessed by learners to get specific information. Such curated content will be hyper-contextual, and we will be able to cut down on time to train on skills and help employees stay relevant. In short, corporate universities need to transform themselves into digital-centric organizations to stay relevant in the coming years. AUTHOR: Krishnan Nilakantan has more than 21 years of experience in the education and talent development space. He works for Cognizant Academy as director of L&D. Training magazine named him an “Emerging Training Leader” in 2014. He has a proven track record in learning strategy development, performance consulting, learning impact measurement, designing learning solutions, learning transfer management, and leading large talent development change programs. Are Your Employees Really Learning? US companies invest a significant amount of money, time, and resources into training their employees. In fact, Gallup estimates that disengaged employees cost US businesses up to $550 billion annually in lost productivity. A new approach to learning and training should be at the top of employers’ to-do list. Yet many companies are still using stale, one-size-fits-all materials that do little to inspire retention or performance. It’s often hard to know how much of that information is actually being effectively retained and put to use. You may have insight into training compliance, but there are few means of measuring absorption. And according to a host of new data, if companies want to identify the source of profitability bleeding, it lies with lack of retention. Training methods need to evolve with the times in order to keep personnel productive, engaged, confident in their knowledge, and adamant in their pursuit of learning. Businesses must understand that with their employees, they’re up against fragmented content consumption, increasing distractions, and greater control by the consumer. Training and learning materials are struggling to cut through the clutter, and employees ultimately are disregarding them. This results in a disengaged and disenchanted workforce, decreased loyalty, lost productivity, and, in the end, lower profitability. By their nature, trends like these should be encouraging employers to rethink training for new hires; yet Rapt Media’s recent survey data on the American workplace shows that employees are disengaged and disappointed with training techniques used by their employers and are not actually absorbing the information required to perform. The survey shows that the majority of employees (65 percent) feel their company could have done a better job of onboarding them. In fact, three out of four employees (74 percent) said they’d forgotten some or all of the last mandatory training they attended, while more than half (57 percent) completed the training only because they had to. This data highlights the difference between compliance and absorption in the workplace and, when deconstructed, pinpoints effectiveness, growth, and engagement of employees as a key indicator of success. It is increasingly difficult to present information in ways that capture attention and stimulate learning, but investing in effective training has proved to be essential to success. So what does this mean for businesses? In order to create sustainability, profitability, and a productive environment, leaders need to reevaluate their training practices and utilize new research to build communication between employers and employees. According to Rapt Media’s survey, the vast majority of employees (82 percent) learn better from visual content like video than from static content like PDFs and other documents. More than half (60 percent) are bored by their company’s internal communications. Companies have to: move beyond traditional, one-way training techniques that seem to inhibit absorption of information; reimagine internal content; and turn to new technology tools and platforms that will engage workers in a personalized way, including interactive content that promotes two-way engagement with training and learning materials. With only 32 percent of employees saying they are engaged in their workplace, it is apparent that companies need to take action. The good news? Your employees can help. Research has found that 73 percent of employees have suggestions for their internal communicators and one in four would like more humor and entertainment, highlighting a greater need for companies to seek out feedback from their workforce and actively take notice of what their employees say will drive increased engagement. Meeting this need for greater engagement also requires a complete reimagination of content and an effort to invest in tools that are driven by personalization and two-way interaction. An investment in these kinds of tools will also offer companies valuable understanding of content engagement and behavioral insights. If a company is unable or unwilling to change to improve outdated techniques, it’s not a question of whether its employees will leave, but when. And in the rare cases that they do stay, employees will be much less productive than they could be. Instead of relying on dated training techniques and wondering about the productivity and knowledge of employees, businesses need to restructure training programs to effectively educate their staff. This will not only encourage employees to stay and grow with their companies, but also promote a sense of brand loyalty and drive greater retention and profitability. People remember pictures. Several research studies have demonstrated this to be true (for example, see Grady, et al, in References). It’s especially true that, when a person sees something briefly, that individual is more likely to remember a picture than words or text. Learners’ affinity for visual images provides a convincing reason for eLearning designers to incorporate lots of visuals into their content; infographics are a great way to do this. But it’s also true that learners are increasingly likely to access eLearning on a plethora of devices—including smartphones, which offer a small screen and thus a difficult canvas for infographics. Meeting these conflicting goals—providing visual, engaging, and memorable content, and offering that content in ways that more learners can and will use—calls for a careful design strategy. Since humans are so strongly wired to process visual information, infographics can be a powerful way to teach some concepts or present some information. According to Eugene Woo, founder of Visualize.me and Venngage, using more infographics can dramatically increase website traffic and engagement. Understanding the goal of the infographic is essential to choosing the most appropriate format, Woo said. Some visual presentation formats, like charts and graphs, are ideal for comparing or showing relationships or presenting survey data. Venn diagrams, scatter plots, and word clouds also show relationships. To convey information, Woo suggests using large titles with pictograms and labels; maps or timelines compare data or illustrate change over time. Use a pyramid to show hierarchy; a bubble chart can illuminate relative size or impact. A series of panels can demonstrate the steps of a simple process, and a labeled diagram can teach the parts of a whole while showing learners how those parts fit together. To get learners to explore a topic, Woo suggests interactive maps or diagrams or “layered” graphics that allow learners to drill down—for instance, presenting national data on the top layer, then state, then county or city data, as the learner clicks on deeper layers. You can present the same data in different ways, but each sends learners a different message or emphasizes different aspects of the data. This series of infographics on military spending from The Guardian shows how to use a single data set to focus on several different details. For example, if two populations share some characteristics but differ on others, a Venn diagram can emphasize areas of overlap, while a chart is useful to highlight contrasts or areas of disagreement. Learners are bombarded with information and often have to absorb new material quickly. This is an area where visuals are particularly helpful. A neuroimaging study tested participants on images and text that they saw quickly, without the opportunity to think about it or relate it to other knowledge; they remembered pictures better than they remembered words. Thus mobile environments—more conducive to performance support, reference materials, or “job aids” that learners reference on the go—could be an area where infographics would be useful to learners. When seeking to present information visually while also ensuring that eLearning is mobile-friendly, designers must acknowledge that not all infographics will work on mobile. That said, “mobile-friendly infographic” is not an oxymoron; in fact, careful design can result in effective, engaging infographics that work on many platforms, including smartphones. Grid-based modular design: Anticipate mobile use by creating a design in blocks that can appear horizontally or stack vertically—when learners view the infographic on a smartphone, they will view the blocks in sequence. It might help to think of each block as a panel, as in a comic strip. Design each block to be appealing and legible at the size of a typical smartphone screen; many templates exist to help designers get the correct size and proportion. Remember that each block is, essentially, a separate infographic that will scale as a single unit; elements within a block will not be resized individually or repositioned for display on a mobile screen. Minimal text: Using templates or mock-ups designed for smartphones can help test the legibility of text at small sizes. A responsively designed infographic will scale—as a block—to fit the display; if this results in six-point text, the infographic is not mobile-friendly. Limit the number of words per screen, and add more blocks or panels if needed. Appropriate fonts: Use no more than two typefaces, and choose clear, simple, scalable fonts that complement each other. Fonts with serifs or other decorative elements are hard to read in small sizes. Icons: Add icons to enhance text—or replace text with icons in scaled-down versions of an infographic. Building the design so that some elements and text are removed when the display shrinks makes an infographic more mobile-friendly. Color: Choose colors wisely; the combination and contrast of colors affects learners’ comprehension. Color and contrast can strengthen the visual impact; changing one line of a chart to a contrasting color effectively highlights important information, for example. Breathing room: Don’t crowd the elements; leave space in the infographic and around the margins. Woo recommends at least 30 percent “negative” or uncluttered space. A designer who struggles with one or more of these guidelines might rethink the approach: Can the infographic be used to represent a smaller part of the data? Can multiple panels or infographics be used? Is this concept better taught using text or a different format, like flash cards or a game? Is it possible to swap the infographic for text or a different set of visuals for mobile learners? The bottom line is that the eLearning is only effective if learners use it. And, while more learners want to access eLearning on their smartphones, they are unlikely to engage with content that forces them to squint and scroll to decipher it. Anderson, Monica. “Technology Device Ownership: 2015.” Pew Research Center. 29 October 2015. Grady, Cheryl L., Anthony R. McIntosh, M. Natasha Rajah, and Fergus I.M. Craik. “Neural correlates of the episodic encoding of pictures and words.” Proceedings of the National Academy of Sciences, Vol. 95, No. 5. April 1998. McCandless, David. “Information is beautiful: war games.” The Guardian. 1 April 2010. Woods, Bianca. “Telling Your Story with Infographics.” Learning Solutions 2014 Conference & Expo. 20 March 2014. In today’s world, organizations that fail to adjust their learning management practices and solutions often struggle with organizational growth or productivity. As a result, leading companies are abandoning traditional methods of learning in favor of more effective solutions—often involving technology innovation—that engage talent and improve performance. This report highlights key trends affecting the future of enterprise learning and recommendations for selecting the right provider. One-third of companies are increasing their budget for learning and development. Only 10 percent of companies are leveraging mobile learning solutions. 59 percent of companies are leveraging social learning activities. Organizations are facing several critical pressures, including a short supply of leaders, the need to develop and engage employees, and issues with turnover. Finding and keeping talent is no longer an HR challenge but a strategic business priority. Yet, most companies are unable to build lasting relationships with their employees in an effort to overcome these challenges. Instead of empowering employees with the tools they need to succeed, many companies feel threatened by their workforce and fearful of change. In fact, when asked to define their company culture, 41 percent of companies described it as “controlling,” or a highly structured and informal place to work with little collaboration. With the emergence of a younger generation and the rise of the independent worker, companies must rethink their approach to talent and begin to prioritize the “individual.” They must provide a new mechanism for learning—one that can adapt to the needs of a changing workforce and align closely with organizational objectives. For many companies, an updated learning and development process is long overdue. Brandon Hall Group’s 2014 Learning and Development Benchmarking Study shows that more than 50 percent of companies have revisited their learning strategy less than two times over the last five years. It may seem surprising (considering the state of the global economy over the last few years), but learning has remained, for the most part, stagnant. The good news is that one-third of companies are increasing their budget for learning and development over the next 12 months. With nearly 50 percent of these companies currently spending $100 per learner per year, companies will need to become more strategic about their learning programs and technology enablers. Brandon Hall Group research indicates that the top areas of learning investment include internal L&D staff and external consultants. Although having the right resources and expertise is critical, companies may want to consider the role technology can play in transforming their learning functions. Although learning is one of the most mature areas of talent management, it is also one of the most innovative. With recent technology advancements and the rapid adoption of social collaboration, learning and development has come a long way. Yet making a decision to improve a learning management program and invest in a learning management solution is often a daunting challenge. Five key trends and best practices that companies should consider include the use of mobile technology, adoption of social learning tools, alignment with corporate objectives, use of adaptive learning principles, and the ability to measure effectiveness. Going Mobile. Mobile has transformed the way companies work, interact, and collaborate. With global penetration rates skyrocketing, organizations that are not considering mobile in all areas of HCM will have a difficult time competing for talent. Despite this reality, companies are still slow to embrace mobile learning solutions. Only 10 percent of companies are using mobile Web-based learning solutions. Some 8 percent are using mobile learning apps, 5 percent mobile performance Web-based sites, and 4 percent are using mobile performance apps Most companies recognize that mobile learning solutions can improve adoption, expand global reach, and engage users better, but do not understand how to execute a mobile strategy. Additionally, some organizations find it challenging to determine what options are available and which providers to consider. Regardless of the barriers they are facing, organizations looking to improve their learning functions will need to make mobile part of the equation and determine what requirements they have in order to select a technology partner. Understanding Social. Companies are quickly embracing social media tools, as well as investing in social collaboration tools to better engage employees and foster a learning culture. Although social has become mainstream, companies still lack the knowledge and insight around how to use these tools for learning and development. Of the 59 percent of companies using social for their learning strategies, only 24 percent say they are effective. One reason is that companies are limited in the social tools they are using. Companies are using document sharing, discussion forms, and blogs, but they aren’t generally using video or micro-blogs—which our research shows are more effective—to improve their learning functions. Companies must educate themselves on the value of social learning and invest in providers that offer solutions that drive business outcomes. Considering Adaptive Learning. Adaptive learning is a methodology that breaks traditional models and allows employees to learn at their own pace. It has gained popularity with educational institutions, referred to as “adaptive teaching,” where a teacher will gather information on individual students to learn what they need to do to improve their learning. In the workforce, adaptive learning is conducted similarly. Employees can be monitored individually and in real time to determine what learning approach will best suit their needs. It has advantages for younger generations entering the workforce that have expectations around flexibility and interaction. Adaptive learning can be effective at improving efficiency, as well as employee engagement and retention since it allows employees to build confidence and overall expertise. Companies may want to consider breaking traditional learning methods by introducing aspects of adaptive learning. Aligning with Business Objectives. The learning of the past operated in silos where learning professionals had little interaction or input from other areas of the business. The learning of the future must be closely aligned to overall corporate strategies in order for companies to achieve results. Any program or technology investment should involve input from business leaders to ensure that learning is driving retention, engagement, and performance. For those companies that did align learning and business priorities (48 percent), more than 70 percent were able to improve company revenue. Measuring Effectiveness. To determine if the learning strategy in place is driving business outcomes, companies must find a way to consistently measure its effectiveness. Companies should determine metrics in advance and include both business metrics and learning/HR metrics. Currently, most companies are considering team encouragement, employee engagement, and employee satisfaction over more concrete business metrics such as retention, turnover, and revenue per full-time employee. Select the right provider. In the past, organizations had limited technology choices for learning and development, but today there are new solutions emerging every month. Organizations should consider providers with innovative capabilities such as mobile and social and also understand the importance of measuring the effectiveness of learning activities. Collaborate with the business. Learning professionals must work closely with business leaders to design the learning program and also to gather input on the right technology providers. With executive support, organizations can help shift their approach to learning and create new vehicles for enabling individual success. Put the individual first. Companies must shift the way they view employees and consider focusing on the individual and his or her unique learning needs. For some companies, this strategy may include aspects of adaptive learning; for other companies, it could mean a different communication strategy. 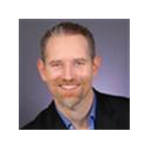 AUTHOR: David Wentworth and Mollie Lombardi are analysts for Brandon Hall Group, an independent HCM research and advisory services firm that provides insights on Learning and Development, Talent Management, Leadership Development, Talent Acquisition, and Human Resources. Wentworth is senior learning analyst and Lombardi is VP of the Workforce Management Practice. Companies with high employee engagement reap a number of valuable benefits: Productivity and innovation flourish, employee retention and loyalty grow. One key way companies can drive employee engagement and differentiate themselves in a competitive job market is through their learning and development (L&D) programs. Here’s how five big names in tech use innovative learning and development programs to make sure employees are engaged at work, and how startups and mid-sized companies can borrow from their playbooks. Salesforce customizes L&D to the individual employee to increase productivity and engagement. Dan Darcy, SVP, Productivity, runs enablement at Salesforce and describes his job as Customer Success for internal employees. For Salesforce, Customer Success is all about putting customers first. It means actively working to increase customer happiness, engagement, productivity, retention, and ultimate success. For Darcy and his team, Employee Success comes first. “My goal is to establish the best sales training program in the industry, and then roll out this framework for training across all Salesforce departments,” Darcy says enthusiastically. Darcy’s team polled employees and discovered that Salesforce employees wanted personalized learning opportunities they could do at their own pace. To deliver, Darcy’s team is adapting Salesforce’s homegrown Trailhead interactive customer learning platform for in-house employee training. Sales account executives still start their careers with face-to-face Salesforce Academy training at headquarters. Trailhead builds off this foundation by flipping the classroom model. Employees and managers design one-on-one learning journeys to meet each individual employee’s unique personal development needs and goals. With Trailhead, Salesforce is leveraging new training technology to increase both Customer Success and Employee Success. James Balagot, head of Learning & Development at Yelp, uses L&D to increase engagement and retention. Each year, Yelp hires and trains hundreds of young account executives, who quickly are pursued by other companies. As a former Yelp account executive himself, Balagot understands that providing young professionals with valuable learning programs, a positive culture, and meaningful advancement opportunities is the best defense against attrition. Yelp’s strong commitment to promoting from within is the foundation for the company’s L&D efforts. To keep engagement and retention high, Yelp executives actively mentor young employees and tell managers that employee development is their key priority. Balagot surveys employees regularly to assess their job satisfaction and engagement. Employee participation in L&D programming is optional, but the message is clear: Yelp wants employees to succeed and provides daily opportunities for learning. At Yelp, every day can be a school day so employees can continually grow and advance their careers. Teaching new managers to coach, support, and manage their people effectively is Pandora’s primary L&D goal. Morgan’s team creates all its own B2E content and training tools for new managers in-house to reflect Pandora’s values and culture. While the courses are required, Pandora makes all its manager training available online and on-demand, and makes sure each session takes less than 15 minutes to complete. Pandora successfully focuses its L&D initiatives on manager training to increase employee engagement and retention. Adobe’s Global Talent Development team designed Adobe’s innovative Leading@Adobe curriculum to accomplish these goals across Adobe’s vast organization of 14,000-plus employees, in 40 countries and 70 locations. Because of Adobe’s size, the Global Talent Development team relied on technology, Adobe’s Web conferencing platform, Adobe Connect, and on-demand resources to deliver scalable leadership programming. The company now offers a curated on-demand suite of leadership development e-learning tools globally. Moreover, Adobe gets the content right—its 60-minute virtual Adobe Connect labs consistently receive net promoter scores above 90 percent (e.g., I would recommend this experience to my colleague). Adobe also has reimagined its performance management model. It has replaced its annual performance review process with a frequent feedback loop approach called Check-In. Check-Ins have been embraced throughout the company and are credited with improving communications, employee satisfaction and productivity. “Facebook’s key Learning & Development objectives are to promote respect and foster a culture of continual learning,” says Mike Welsh, Learning & Development partner and People engineer at Facebook. The company’s approach to L&D was designed to appeal to its talented Millennial workers who are hungry for autonomy, feedback, learning, and advancement. Facebook employees want personalized experiences, so the company offers many avenues for individual learning through on-demand classes and career flexibility. At Facebook, most of the learning happens organically within functional departments and is peer-to-peer and employee driven. Facebook’s L&D team is most known for its innovative Manager, Leadership, and Positive Culture development programs. For example, Facebook’s Engage Coaching Program provides new managers with one-on-one sessions with an executive coach to help them develop effective people management skills. Facebook’s FLiP (Facebook Leadership in Practice) program also receives rave reviews. The FLiP program goes deep into leadership best practices, case studies, teambuilding, and coaching circle exercises, where rising leaders receive feedback and coaching from their peers and Facebook executive team members. Finally, Facebook’s nationally recognized Managing Unconscious Bias program trains employees to acknowledge bias in the workplace and build productive working relationships with co-workers. Facebook successfully uses L&D to create a culture that puts people first, and fosters employee engagement, collaborative relationships, and continual learning. Some believe that L&D is a perk only big companies can offer. Three-year-old Coinbase, creator of the first bitcoin wallet, is proving that theory wrong. Coinbase, a Series C company with just over 100 employees, is already using L&D to ensure high employee engagement. According to Nathalie McGrath, director of People, Coinbase has created meaningful L&D offerings without a big budget and proprietary programs. To date, Coinbase has adopted Facebook’s coaching circles model, implemented Code School on Fridays, and is exploring partnerships with Udemy to offer employees a variety of on-demand courses. Coinbase’s goal is to empower employees and promote employee learning and continual personal development even when the company is in startup mode. While large tech companies may have the money to invest in best-in-class, proprietary L&D programs, many of their best practices don’t require significant resources and budget. Here are five tips companies of any size can implement quickly to bring L&D to their organizations without breaking the bank. Promote in-house mentorship and coaching. Get informal mentorship meet- ups, coaching circles, and peer-to-peer learning off the ground. Make online education an employee benefit. Edtech companies such as Udemy, Udacity, Lynda.com, and Coursera all offer a variety of affordable, turnkey B2B subscriptions for employee online learning. Regularly track employee engagement and job satisfaction. Measure results and solicit feedback. Design and test new L&D initiatives. Strive to constantly improve these metrics. Train new managers to lead, manage, and give frequent feedback. Employees are more engaged and productive when their bosses are good people managers. Treat employees like customers. Make employee engagement, success, and advancement a key business priority. Leverage L&D programs to demonstrate your company’s commitment to its employees. “Employee engagement is the one key metric business leaders can influence quickly to improve business productivity,” stated Jack Welch early this year. Salesforce, Pandora, Yelp, Adobe, Facebook, and Coinbase all have demonstrated how learning and development programs can be used to increase employee engagement. True star employee performers care far more about learning and personal development than free lunches, gym discounts, and ping-pong. Earn their loyalty and increase their productivity and job satisfaction by bringing meaningful learning and development opportunities to your organization. AUTHOR: Ellen Wilson is a product marketing consultant who works with tech companies in the San Francisco Bay Area. She is passionate about learning and development and helping people advance in their careers. This year, our most comprehensive new research on talent management, “High-Impact Talent Management 2015,” found the most differentiating, predictive practices that directly correlate with high performing global companies are those which focus on diversity, inclusion and fairness. While programs like leadership development, onboarding, sales training and succession management are valuable, it is how they drive inclusion and a feeling of openness that create the greatest business results of all. We can all understand why this might be true. We live and work in highly diverse environments. The workplace contains different ages, genders, sexual orientations, cultures, backgrounds and physical abilities, and when any one of us feels left out, not included or discriminated against, we simply can’t contribute our best. Much of our new research shows that traditional hierarchical leadership models are being replaced with networks of teams — so if people on the team don’t feel included and respected, the team itself will underperform. Our research revealed some astounding things. Among the 450 global companies we studied, the ones with a highly inclusive environment generated significantly higher cash flow, profitability and employee retention over a three-year period. The reason I’m bringing this up here is the biggest thing we found was not that these companies had a great diversity and inclusion program, but that they had managed to build what we call a truly inclusive talent system. These top companies — this represents only 10 percent of our sample — had gone well beyond building a diversity program and creating diversity measures and benchmarks. They had embedded inclusive thinking and diversity conversations into every part of their talent system. • How well do you include diversity and inclusive thinking in your onboarding and overall employment brand? • How inclusive is your leadership assessment and training for new leaders? • Is unconscious bias a topic you teach managers and team leaders, and do you use it in recruitment practices? • How well do you train and coach senior leaders as role models for inclusive thinking and diversity practices? • Does your project management, team leadership and functional training include topics about fairness, collaboration and diversity? • Do you, as a learning leader, truly understand all the ways diversity can and should be embedded in your learning programs, and are your programs diverse and inclusive in their design? We recently had TD Bank, one of the leading financial institutions in Canada, present on its diversity and inclusion journey. In 2004, the CEO studied this issue and found a workplace that did not let employees bring their true selves to work every day. Since then, the company has embarked on a variety of employee experience programs and put in place a diversity leadership council with multiyear metrics to improve the bank’s inclusive culture. As we discussed the bank’s 10-year journey, the team told us about diversity and inclusion topics included in the onboarding program, the first-line manager program and, of course, the senior leadership program. TD now has more than 300 executives signed up to promote inclusive thinking throughout the bank, and they infuse diverse and inclusive thinking into every communication and training program they roll out. Today this is a critically important topic. Diversity strategies not only improve representation and fairness as an employer but also open up the organization to respect the strengths, ideas and passions of every employee at every level. What company wouldn’t want to unlock that incredible well of energy among its workforce? Our role in L&D is to help lead this charge. Take some time to think and learn about diversity, inclusion, fairness and unconscious bias in your own programs — you’ll discover that your role as a learning leader is more important than ever. AUTHOR: Josh Bersin is the principal and founder of Bersin & Associates, with more than 25 years of experience in corporate solutions, training and e-learning. Often times, tips for engaging learners in corporate online learning include external features and novel delivery methods. These range from using animations, “real-life” scenarios, game-design, leaderboards, and badges. But with learners actually spending more time learning and developing themselves outside of the corporate learning infrastructure, knowing what is appealing for them could have us directing our efforts and attention in a more focused approach that leads to greater engagement, activity and—more importantly—results. Here are some tips based on learner preferences that could give you the results that you are seeking. In a recent survey of over 4,000 business people, the preferred way of learning in the workplace was overwhelmingly “knowledge sharing amongst the team.” When you also consider that learners are predominantly motivated to learn online so they can do their jobs better and faster, then contextually relevant content is a no-brainer. Linking learning to the work—and the organization—will help learners to make the connections between content and application. However, in the traditional world of eLearning this would be far too expensive and time-consuming, and that is why rapid content-creation tools are becoming more popular, so that the people who “know” and “do” can share what they know and do with those who need it—quickly and easily. The external features and novel delivery methods I mentioned above are fine, when used intelligently. However, if your online strategy is to design games, leaderboards, and mostly animated content then you had better have one outstanding game-design team. Even Disney initially struggled to crack the games market. This is because it is incredibly difficult and… Wait a minute, why am I talking about games when people just want to be better at their jobs? If your online learning is off the mark, then adding game-design and animations won’t improve your results. And anyway, is that how you prefer to learn? Quite likely not. Instead, just get people who know and do to explain what they know and do and the impact it has for them. Make it real. Get real people involved—and see real results. People today have access to almost infinite resources online that can help them to understand and learn what they need for their professional development. The internet has provided quick and intuitive access to information, expertise, and know-how. This “consumerization” of learning means that people have developed preferences for what they want and don’t want to engage with. In an interview in May, 2015 Josh Bersin pointed out that “people today are finding the learning experience inside their company is not nearly as nice as the learning experiences on YouTube or other external providers.” LMSs are often shunned because they are clunky, not at all intuitive, and content within them (regardless of how useful it might be) is buried several clicks within the platform. For greater engagement, learning professionals need to think outside the LMS if it’s not delivering results. And if you’re worried about another system making sense to learners, look at your smartphone and all the applications you have. I bet you ignore the ones that don’t work for you and use the ones that do. We all do. We often grab the information we need, when we think of it—or more importantly, when and where we need it. Google goes so far as to say we’ve been “trained to expect immediacy and relevance in our moments of intent.” We often go to our devices during downtime, when we’re travelling, waiting, or filling time in other ways and employees are learning far more from outside of the corporate infrastructure during these periods. It’s no longer forward-thinking to have a mobile L&D offering—it is the world we’ve been living in for quite some time. So, to not offer mobile learning now could be deemed as backward. If 67 percent of millennials believe they can learn anything from YouTube (as the previous link to “Think with Google” says), the fact that they can or they can’t is irrelevant—they have enough experience and trust to believe they can. You can’t build this level of trust overnight—especially with more than 70 percent of employees going to web-search as their first port-of-call when they want to learn something for their job. The opportunity for our online learning is to help people to grab what they want when they need it to perform. Make content short, make it contextually relevant, use video, and make it real. Create the place employees know they can go when they want to be better at their jobs. 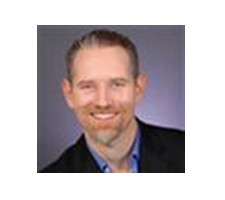 David James is a seasoned Talent Management, Learning & OD leader with more than 15 years of experience in the field. Until recently, David was Director of Talent, Learning & OD for The Walt Disney Company’s EMEA region and has since joined Looop.co as Learning Strategist. Watch graphics guru, Mike Parkinson as he transform bad slides into amazing slides in real time. See actual before and after examples and learn how to do it yourself. Learn what makes a slide a failure and see how to fix it… fast. Using tools, tips and tricks, Mike demonstrates how to turn bullets into compelling graphics, improve templates, and enhance content. Mike Parkinson of Billion Dollar Graphics brings a wealth of experience and talent to today’s webinar. He really understands the power of graphics. 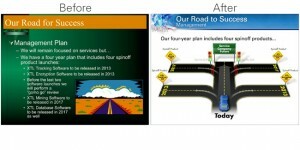 You will see him transform simple PowerPoint graphics into powerful visuals that make a statement. Mike has authored several books on presentation graphics and created several resources that any of us can used to enhance any PowerPoint presentation. 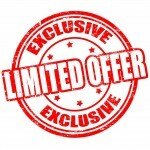 Unlimited Graphics Subscription for our Community – SPECIAL OFFER! 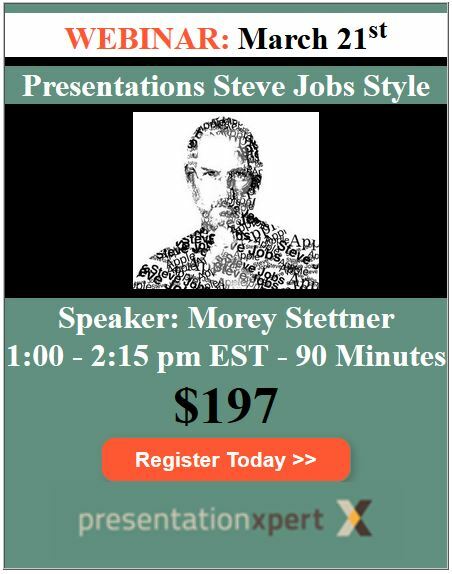 For just $99 per month – which is a 93% savings – you can communicate better with 100% editable, professional graphics. Improve understanding and recall while saving time and money. Make better presentations, proposals, educational materials, marketing, sales documents, white papers, and websites. Get My Graphic infographics are designed to clearly communicate complex information. Save up to 93%. Get instant, unlimited access to these graphics for you and your organization with your Unlimited Subscription. All graphics downloaded are yours to use immediately and indefinitely. With unlimited downloads you can make the perfect professional graphic because you can combine graphics, add icons and symbols, insert photos, sample and apply styles across graphics, and animate. You can evolve your graphics as fast and often as needed. 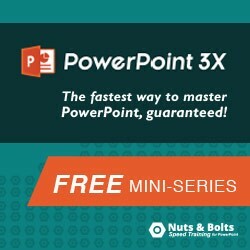 All graphics are easy to edit, combine, and animate in PowerPoint. Graphics can be exported and used in any software. 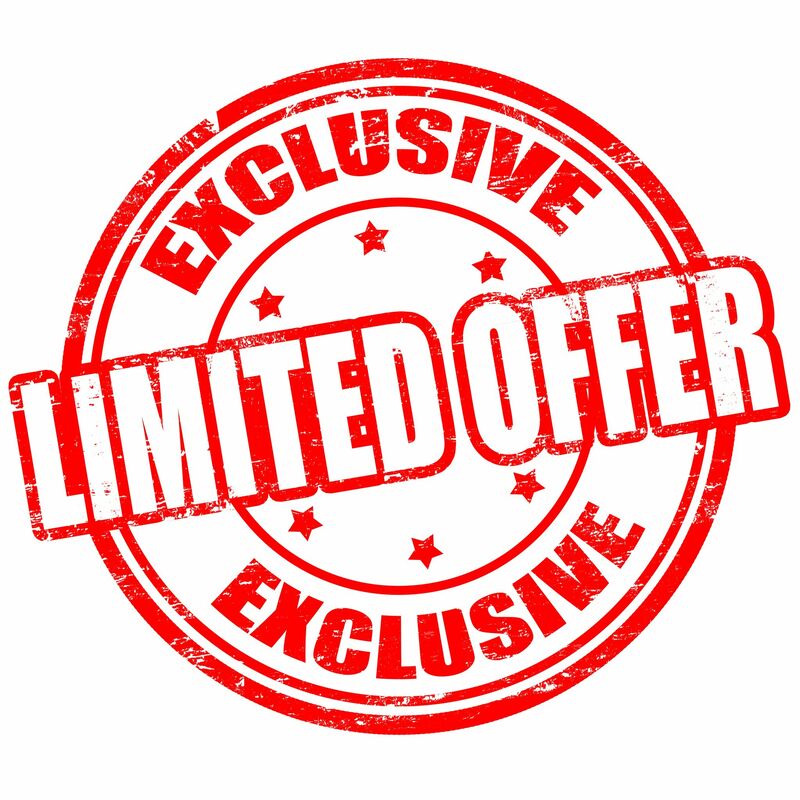 CLICK HERE FOR MORE INFO AND TO TAKE ADVANTAGE OF THIS EXCLUSIVE OFFER!! Pest control services company Orkin, LLC, needed its employees to leave the classroom prepared to perform the job. In response, Orkin University integrated several emergent methodologies and technologies (embedded workflow, flipped classroom, Orkin Global Learning Network, and mobile tools/resources) into its newly revised Commercial Sales curriculum. In 2012, account manager turnover was at 47.26 percent, at a conservative annual cost of $750,000. This presented Orkin University with an excellent opportunity to add value by improving account manager retention and increasing sales. Orkin University uses the flipped classroom approach to provide learners with the sales and technical concepts prior to class. Within the flipped classroom framework, learners are given e-learning modules, engage in live broadcasts with instructors via the Orkin Global Learning Network, and go through structured on-the-job sales activities, all of which are outlined in a provided Performance Checklist. When learners arrive to class, they’re already familiar with the Orkin Sales Cycle; they have the necessary technical knowledge; and they can find most of the sales tools and resources available to support their sales efforts. Each learner receives a unique case study for a customer in a specific vertical industry on the first day of class. As the class progresses through the Orkin Sales Cycle, students apply what they are learning via role-plays, programmed activities in simulated environments, and other exercises using their assigned case study. Instructors provide iterative guidance to students at each phase of the Orkin Sales Cycle. Thus, learners receive specific and adaptable feedback throughout the embedded workflow activities. On the last day of class, the learners deliver to their case study “customer” a customized, consultative proposal, incorporating a solution that includes a bundle of service options. The proposal includes all the information the learners gathered from the simulated service environment activities, and is delivered utilizing a combination of the sales tools available (such as an iPad presentation app, digital pictures, Floor Level Inspection Report, and an electronic graph of the customer’s location). Both instructors and learners use an observation rubric to grade the proposal. After integrating the feedback from the instructor and the class participants, learners return to their branch location and deliver a revised proposal to the manager. The manager uses the same observation rubric to evaluate the learner’s performance. The learner does not graduate from class until his or her manager returns the graded rubric to the instructor. This technique allows Orkin to involve the manager and introduce new tools, resources, and techniques to managers without backgrounds in sales. Finally, the learner takes a proposal he or she recently delivered to a customer and presents it via Adobe Connect to the class instructor 60 days after class. This allows Orkin University to execute a Level 3 evaluation and see how well the learners are applying the skills they learned in class to the job. The learners have responded exceptionally well to this new blended and embedded workflow approach. Orkin already has seen a 91.28 percent improvement in retention for new hires, representing $772,000 in savings since introducing this program. Training content is moving beyond large courses to semantically rich nuggets of information. Developers have created a whole host of specialized, next-generation performance-support apps that deliver personalized, bite-sized learning to employees at the moment-of-need on the device of their choice. But getting there is not easy. What others who have browsed the same items ultimately purchased. Amazon also helps potential buyers by allowing users to rate a review as helpful or unhelpful. It then aggregates these ratings, scores them, and presents a list of the most helpful comments, providing an instant filter for the most relevant of what are often several hundred reviews. How satisfying would it be if the training materials offered to an individual learner were based on the types of materials and content they have found most valuable in the past? How helpful would it be if learners could see what training assets people in a role similar to theirs are using to reach the same or related objective? How much more quickly could learners perform if they could instantly zero in on the most helpful content based on peer reviews and ratings? What’s most striking about personalization though is that location and context are very important. An example of an application that does an excellent job of leveraging these two attributes is Yelp! Yelp! is not only great about giving you information about places near where you are, but also making sure that the content is relevant and fresh at the moment you need it. It will tell you if a place is open at the time you are searching for it. It will let you know if it is within walking distance. It often displays messages corresponding to your search terms (e.g. “Vegetarians love this place!”). Like Amazon, the application to on-demand learning or performance support is unmistakable. When someone is performing a task, they require only the information that is relevant to the specific circumstance in which they find themselves. Imagine an airplane mechanic trying to fix a sudden system problem on a plane scheduled to depart in a few hours; it is imperative that the procedure delivered to the mechanic is for the specific issue at hand, the specific plane, and the exact airport where the plane is located. Without context, this is impossible. But how do we get there? How do we leverage our content across the enterprise and deliver this information on-demand for a particular role, a particular time, a specific skill, etc. And, more importantly, how do we make this informational delivery as powerful and as personal as the applications we use every day? The answer is that content development needs to finally become a strategic initiative within the Learning and Development organization. As an industry we need to move past the mentality of delivering monolithic content in 9-12 month cycles and move towards agile content development that includes the elements in Figure 1, below. The key elements, however, are bite-size content nuggets, user profiles, and social feedback. As part of an assemblage with other lesson and topic nuggets as a course. The more you know about your audience, the more capable you are of matching them up to the right content. The chart in Figure 2 shows the results of a survey of HR and Learning executives. The survey asked them to rate how much they know about the employees of their organization. As you can see, we still have limited knowledge of our workforce. Figure 2: Summary of responses by HR and Learning executives: knowledge about their companies’ employees. Collecting data about employees is a critical capability for personalization. Having rich user-profile information gives us the ability to marry these profiles with tagged nuggets of content to create truly individualized learning experiences. With the advent of social and mobile technologies, subject matter experts are now only half the equation. Successful content developers, the ones who will be seen as strategic to the business, are the ones who will embrace the trend to agile content development. This means exposing content to the community of learners, allowing them to rate and provide feedback on how to improve the content, and then immediately updating nuggets of content for continuous and ongoing improvement—a far cry from yearly course updates. When we use analytics to understand how individual nuggets of content are performing—for example, which nuggets learners are accessing, how they are accessing them, where they are using them, who is using them, and what the ratings are —what we end up with is the ability to make frequent adjustments to the content to better meet learner needs. The more of these adjustments that we make, the more customized and personalized the content becomes. This in turn gives designers instant performance connection data. We know immediately what type of impact each nugget of content is having on our learners. This moves us closer to the holy grail of personalization—where analytics drive the right content to the learner, rather than the learner finding the content all by themselves. Sounds a lot like Amazon and Yelp! doesn’t it? That’s the point.